As it's name suggests, its an "Elle" shape. As it's name suggests, its a "U" shape. 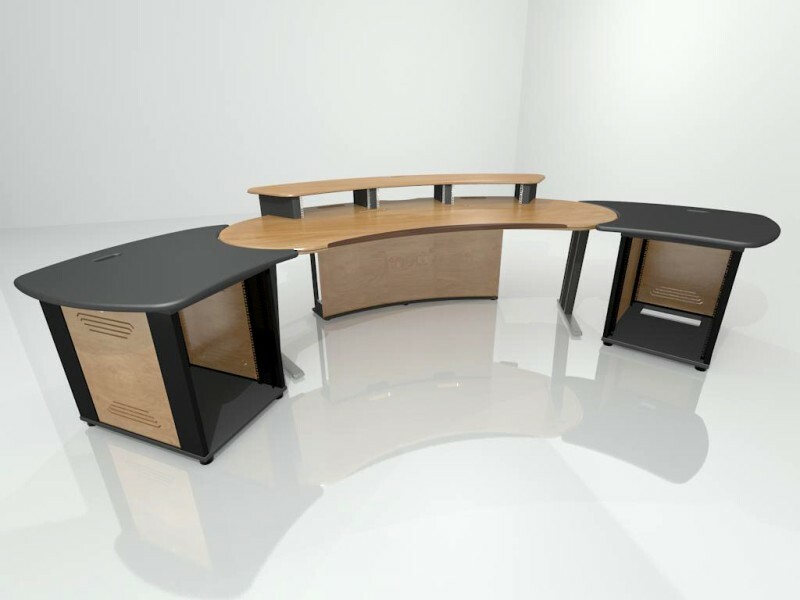 Our advanced studio desk with height adjustable surfaces, taylor made to your specification. 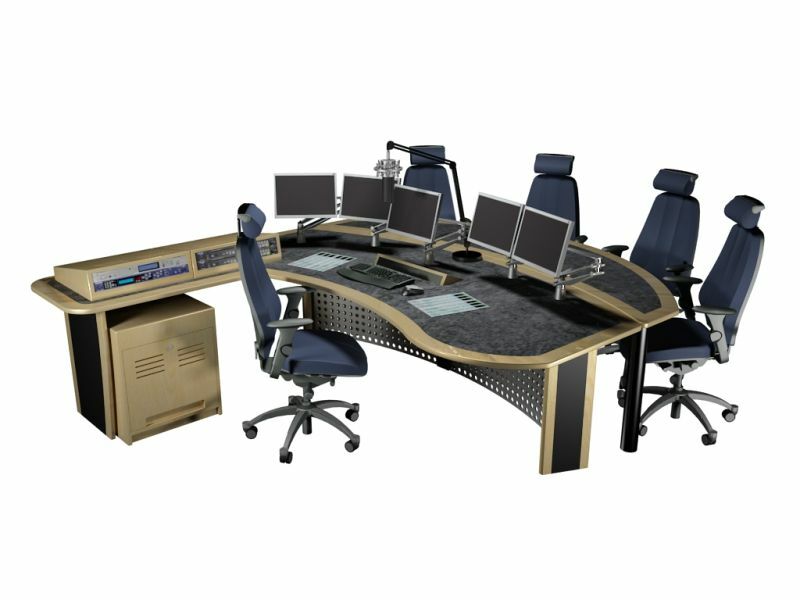 Choose the colour, wood, size, add additional racks, pods and ironwork, its your broadcast desk, have it your way. 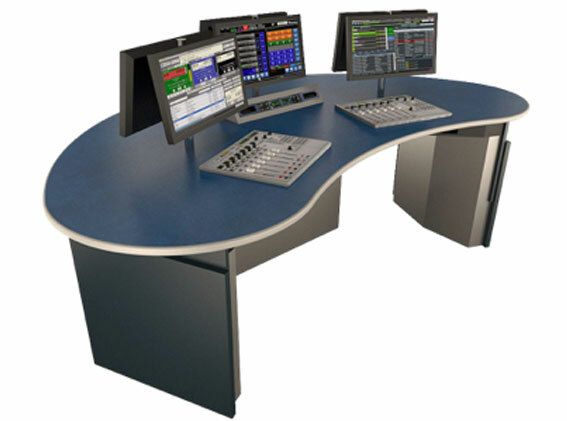 The Production desk is our budget range of desks, with user selectable options. Choose the number of racks, the wood colour and finish, match the furniture to your brand. Select either none, two or three pods, and the number of "U" space available. 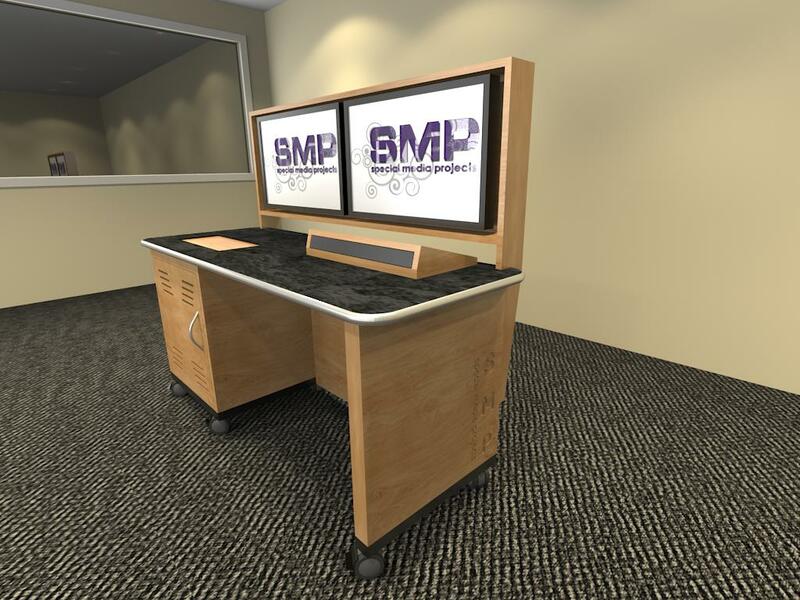 For community TV broadcasters using our small footprint, forward thinking Black Magic and Newtec Tricaster gallery systems and switchers, this is the desk of choice. 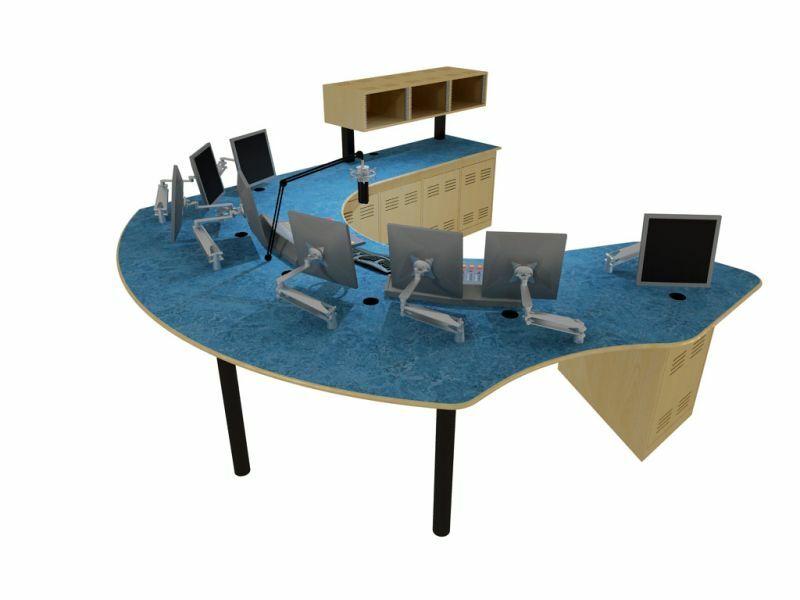 Choose the number of racks, the wood colour and finish, match the furniture to your brand, and the number of screen spaces available. 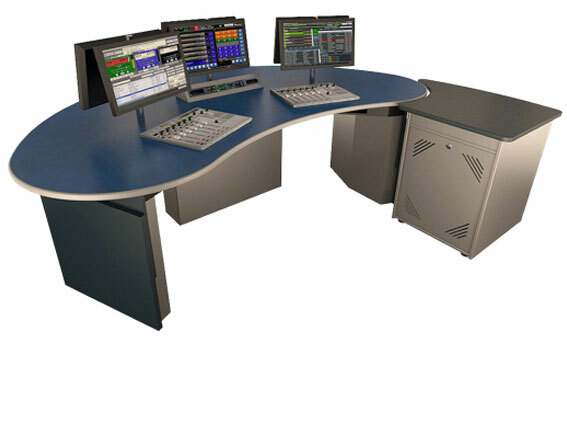 Choose also whether to use free-standing separate or combined screen mounting positions. 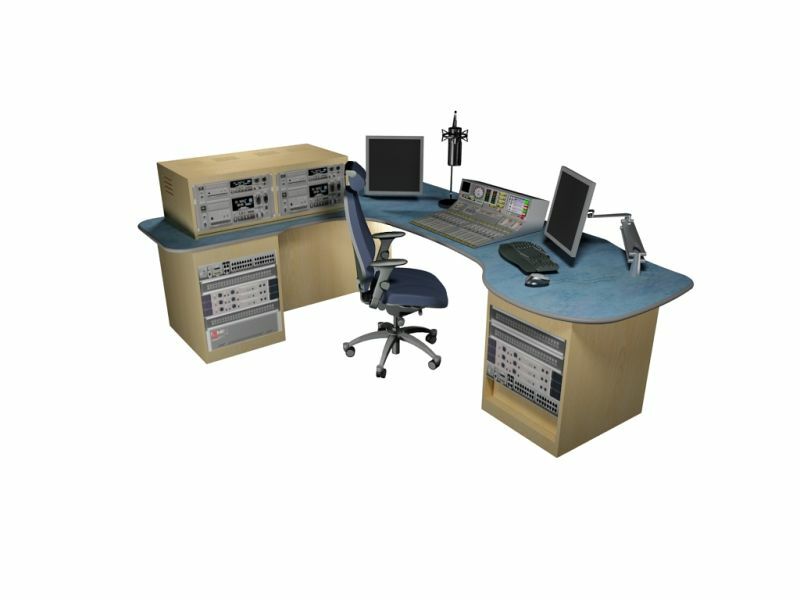 An alternative radio studio desk, with various design options, especially designed for the digital broadcaster.